Pinterest - Friend or Foe? 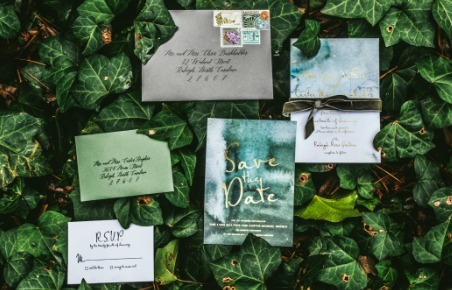 How do you make sure your photographer understands your vision for your wedding photos? As a wedding photographer, I can tell you that any professional wedding photographer wants you to feel 100% confident in their ability to capture every important moment of your day. We also know that couples prioritize some moments and traditions higher than others. So what do you do? Make a Pinterest board full of things you’ve seen that you like? Make a long shot list that covers all the things? Not so much. Now before you gasp in horror and run away, let me tell you how to make sure you get exactly what you want! Pinterest is good at so many things - helping me plan out all the meals I can cook in the crockpot, exercise routines I won’t start, and enough design ideas to redesign my home 50 different times. 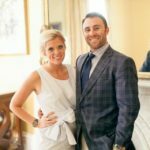 It’s also a fantastic tool to help you map out what you want your wedding to look like because there are so many different ideas and options out there. It’s not so great when it comes to make a wedding photography board though because you end up with a board full of pictures in different editing styles, locations, and seasons. 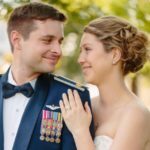 If you’re getting married in the summer at a historic home in an urban area but you pin pictures of a mountainside in Colorado, fall leaves and an open field somewhere else, and a really moody picture from an intimate in-home session when you booked a more traditional, light and bright photographer, things can get a bit messy. Instead of this hodgepodge, go through your photographers' blog and pin images of theirs that you really like. Make a Pinterest board of these images and send them to your photographer as a reference point for what kind of images you are drawn to. 2) Shot list: helpful or harmful? Just like with the Pinterest board - a shot list can be both helpful and harmful. 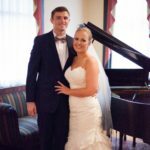 It is definitely a good idea to make a note of different traditions or unique moments that will be happening on your wedding day that your photographer may not be aware of or familiar with. For example, let your photographer know if you will be attaching grandparents rings around your bouquet or wearing a T-Rex costume during the first look. 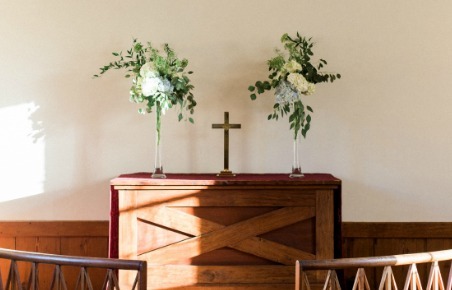 Other than that, making a list that includes “pictures of the bride and groom, pictures of the ceremony etc.” can serve as more of a distraction than anything. You definitely don’t want your photographer constantly looking up and down from a checklist all day and missing moments that are happening right in front of them that you’ll be so thankful were captured. The bottom line is to make sure you hire a photographer that you trust from the start. If you look through their blog and don’t like their posing style, editing style, or you see that they don’t show images that are important to you then I would wait until you find someone you really like so you can let their creative talent shine on your big day! 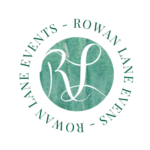 I have a whole wedding guide and questionnaire for each of my clients that makes sure we are all on the same page and focused on the same things for their wedding day. I also take the time to get to know my clients outside wedding planning by grabbing some tacos, playing some putt putt, or meeting for Goodberry’s before their big day so that they feel like a friend is showing up to photographer their wedding rather than a photographer they met 8-12 months ago. Find a photographer whose style you love and whose personality you really click with and that’s when the magic happens! 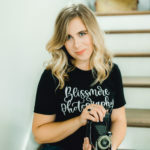 Danielle Smith is the photogrpaher behind Blissmore Photography based in Raleigh, NC. She's well known for corny jokes, eating too much ice cream while watching The Office, never saying no to a new pair of shoes, always being up for a hike, and being way too obsessed with her dogs! Find Danielle at blissmorephotography.com or on social on Instagram and Facebook!